- OVW Crusade Slamfest (February 7, '04) = Skyfire & Mac Johnson fell to Mike Mondo & Carlos Colon. - OVW Hodgenville Show (February 21, '04) = Skyfire & Sean O'Haire beat Rob Begley & Mike Taylor. - OVW March Mayhem (March 6, '04) = Skyfire & Standing Thunder lost to the Tag-Team Troubleshooters. - OVW Super Summer Sizzler Series (May 21, '04) = Skyfire, Mac Johnson, & Demond Thompson fell to Mike Mondo, Carlos Colon, & Da Beast. - OVW Super Summer Sizzler Series (June 4, '04) = Skyfire, Mac Johnson, & Big Bad John defeated Mike Mondo, Carlos Colon, & Da Beast. - OVW Super Summer Sizzler Series (June 18, '04) = Skyfire & Mac Johnson won over Mike Mondo & Carlos Colon. - OVW Super Summer Sizzler Series (July 23, '04) = Skyfire & Mac Johnson stayed the Southern Tag-Team Champs, fighting to a No-Contest with Adrenaline. - OVW Super Summer Sizzler Series (August 13, '04) = Skyfire & Mac Johnson retained the Southern Tag-Team Titles, beating the Troubleshooters. - OVW Fall Brawl '04 (September 4) = Skyfire, Mac Johnson, & Shelton Benjamin took down the Jersey Shore Crew. - OVW Crusade Rumble (November 12, '04) = Skyfire, Mac Johnson, Matt Cappotelli, & Johnny Jeter defeated Mike Mondo, Romeo Roselli, Promise Thomas, & Da Beast. - OVW Television Title Tournament (May/June '05) = Skyfire lost in the first round to Blaster Lashley. Deuce Shade won the tournament. - OVW Six Flags Summer Sizzler Series '05 (June 3) = Skyfire & Rey Mysterio beat M-N-M.
- OVW Six Flags Summer Sizzler Series '05 (June 17) = Skyfire & Alexis Laree took down Mike Mondo & Ms. Blue. - OVW Six Flags Summer Sizzler Series '05 (July 15) = Skyfire & Chris Cage won a "Non-Title" Match over the Blonde Bombers. - OVW Six Flags Summer Sizzler Series '05 (July 29) = Skyfire and Paul Birchall were the winners of a "Tag Titles Shot Battle Royal". Later, Skyfire & Birchall lost to the OVW Tag Champs, the Blonde Bombers. - OVW Six Flags Summer Sizzler Series '05 (August 12) = Skyfire, Tommy Dreamer, & Maria Kanellis defeated MNM (Mercury, Nitro, & Melina). - OVW Six Flags Summer Sizzler Series '06 (June 2) = Skyfire & Shelley won an "Intergender Tag" Match over Roni & the Miz. - OVW Six Flags Summer Sizzler Series '06 (June 16) = Skyfire retained the OVW Television Title, beating Charles Evans. - OVW Six Flags Summer Sizzler Series '06 (June 30) = Skyfire stayed the OVW Television Champion, once again taking down Charles Evans. - OVW Six Flags Summer Sizzler Series '06 (July 28) = Skyfire & CM Punk won the OVW Southern Tag-Team Titles, defeating Shad Gaspard & the Neighborhoodie. - OVW Six Flags Summer Sizzler Series '06 (July 29) = Skyfire retained the OVW Television Title, beating Jack Bull. - OVW Six Flags Summer Sizzler Series '06 (August 11) = Skyfire competed in a Battle Royal, which was won by Jack Bull. - OVW Summer Sizzler Series '07 (June 15) = Skyfire & Johnny Jeter won a "Four-Way" Match over the Daltons, Los Locos, and Jake Hager & Nick Nemeth. - OVW Summer Sizzler Series '07 (June 22) = Skyfire & Chet the Jett fell to the James Boys. - OVW Summer Sizzler Series '07 (July 13) = Skyfire defeated Jamin Olivencia. 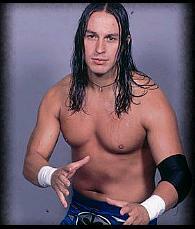 - OVW Summer Sizzler Series '07 (August 10) = Skyfire lost to the OVW Television Champion, Shawn Spears. - RoH Reckless Abandon (November 30, '07) = Skyfire fell to Claudio Castagnoli. - RoH Unscripted III (December 1, '07) = Skyfire lost a "Six Man Mayhem" Match to Dingo. Danny Daniels, Trik Davis, Dan Lawrence, and Silas Young were the other participants.